Wall Mount bathtub Shower Mixer installs closed to bathtub usually. 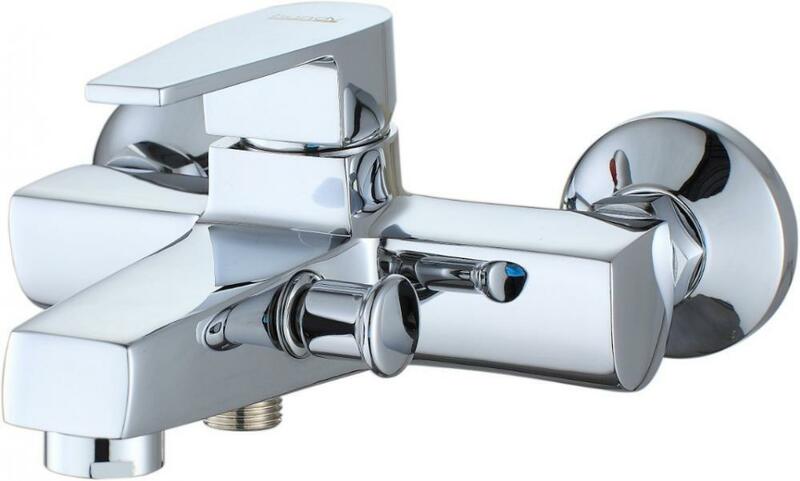 Shower mixer`s main body made of H59 brass, 5 layers electro – plating, ceramic cartridge, 10 years quality guarantee. Pull up the diverter to change spout outlet water to Hand Shower. The ideally flat lever reflects the base with its shape. The purity of form, in combination with the ceramic mixer, guarantees smooth and precise water regulation - nothing can interfere with your moment of relaxation that is an every-day shower. Excellent ceramic disc cartridge, guarantee 10 years no leakage. Please note: the Handheld Shower set need to purchase separately. Fields of applications: Bathtub shower mixer, Home using shower mixer, Hotels bathroom faucets, Bathroom shower mixer, Wall Mounted Shower Mixer. 1) Please clean the inside of plumbing, like mud or sandy etc before you install this shower mixer. 2) This product is passed function test, please don`t dismantle the shower valve, you can be sure to use it. Looking for ideal Bathtub Shower Mixer Manufacturer & supplier ? We have a wide selection at great prices to help you get creative. All the Tub And Shower Mixer are quality guaranteed. We are China Origin Factory of Wall Mounted Tub Mixer. If you have any question, please feel free to contact us.